Aishwarya Rai Bachchan made heads turn with her dazzling looks at the Cannes Film festival. 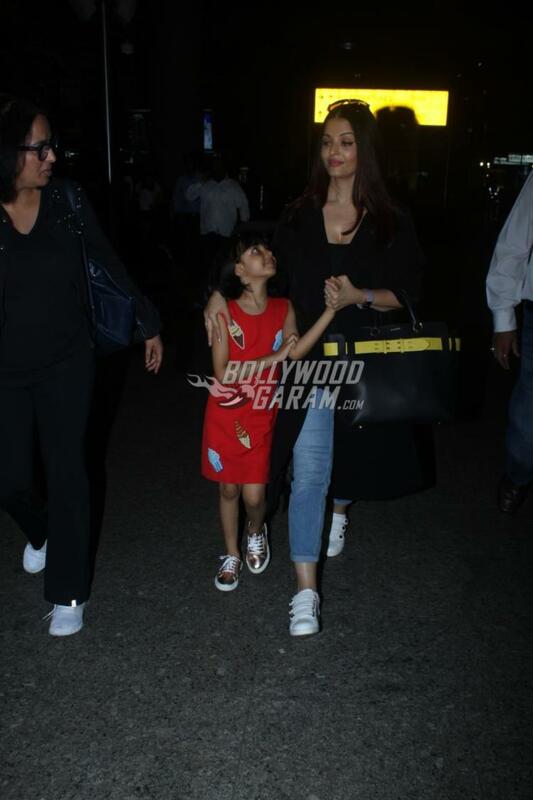 The actress was accompanied by daughter Aaradhya Bachchan and the mother and daughter duo were snapped at the Mumbai airport on May 14, 2018. The Sarabjit actress returned with daughter Aaradhya to Mumbai. 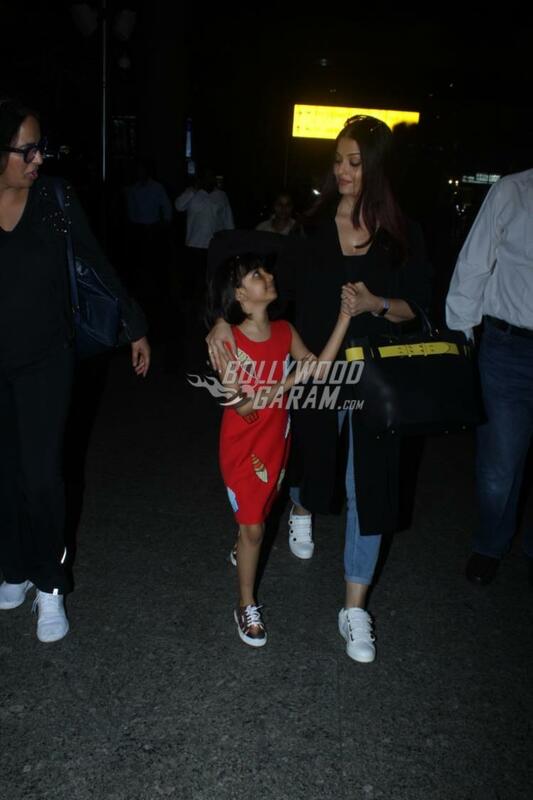 Aishwarya and daughter looked tired but did not miss to smile for the paparazzi waiting at the airport. 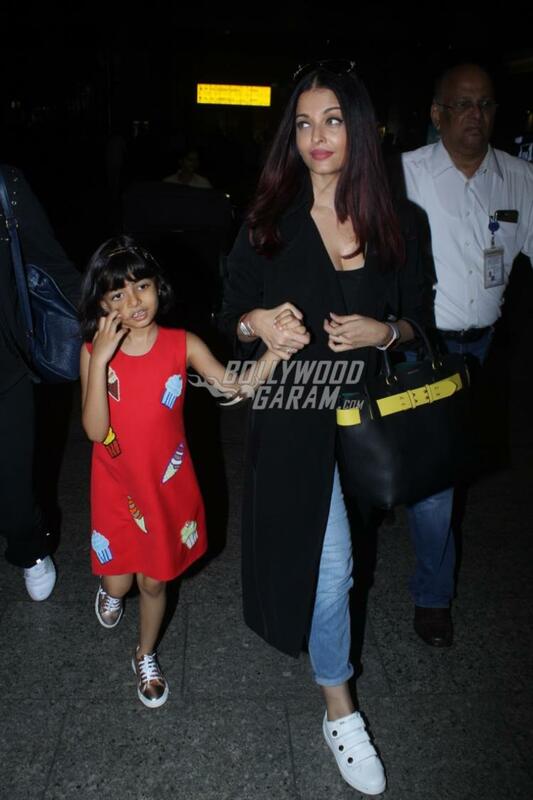 The Jazbaa actress was seen in a trendy black t-shirt, blue denims and a long black jacket while little Aaradhya was seen in a red outfit with golden sneakers. Aishwarya for her red carpet appearance wore a Michael Cinco butterfly inspired outfit and looked stunning on day 1. For the second day, the actress was seen in a strapless powdered blue shiny gown with an embroidered train. The actress posted some adorable pictures through her social media account. 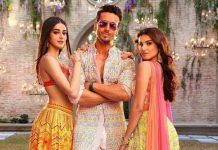 On the work front, the actress is currently filming for the upcoming film Fanney Khan which will be released in theatres on July 13, 2018.